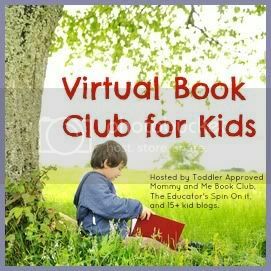 As you know,we have been participating to a Virtual Book Club. Last month's author was Lois Ehlert and I have enjoyed reading my fellow bloggers' posts. You can check out our post here. October's author is Amy Krouse Rosenthal. She is a new to me author and I can't wait to read her books with the kids. Come back and share it with us as part of a big blog hop on the third Monday of the month. The linky will be live for 3 weeks, so if you aren’t ready to post on the exact date… just join in when you can!